“No less than 100 plus soldiers died here. Many are missing in action, they are nowhere to be found,” said the soldier in the video, which was obtained by AFP from a military source who confirmed its authenticity. “See the weapons they bring here. These are not working,” he said as the footage revealed the charred remains of tanks and other military equipment. “These are outdated vehicles, they are not working. They just keep them here for formality,” said the soldier. More than 27,000 people are thought to have been killed in the nine-year Islamist insurgency that has triggered a humanitarian crisis and left 1.8 million people without homes. 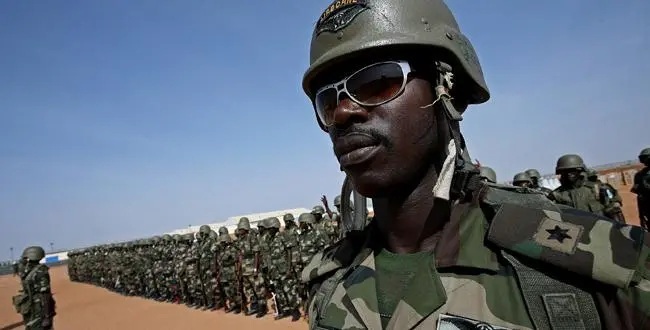 On Monday, ISWAP said it had killed “more than 40 Nigerian soldiers” in Metele and carted away “four tanks” along with other vehicles and ammunition. Nigeria’s President Muhammadu Buhari said on Saturday in a statement that he was in “deep shock” over the Metele attack. “We are ready to give them all the needed support in terms of equipment and manpower to succeed in ending the renewed threat,” said Buhari.